With food-stamp benefits more than doubling in recent years, the restaurant industry has decided it wants in on the action. 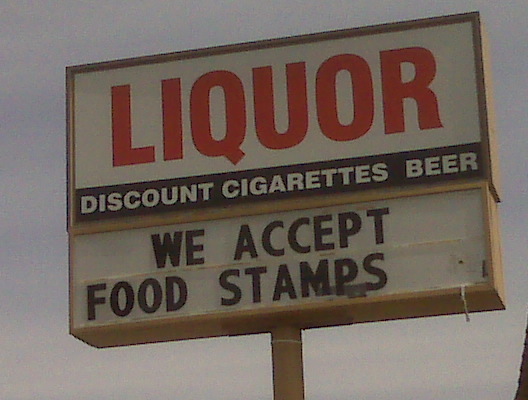 Federal law currently prohibits restaurants from accepting food stamps, although exceptions are allowed for the disabled, elderly and homeless. But some in the prepared foods business, especially providers of fast food, are lobbying lawmakers to allow them into the supplemental nutrition program operated by the U.S. Department of Agriculture. Yum! Brands, parent corporation for Taco Bell, KFC, Long John Silver’s and Pizza Hut, is one party advocating for the change in law. 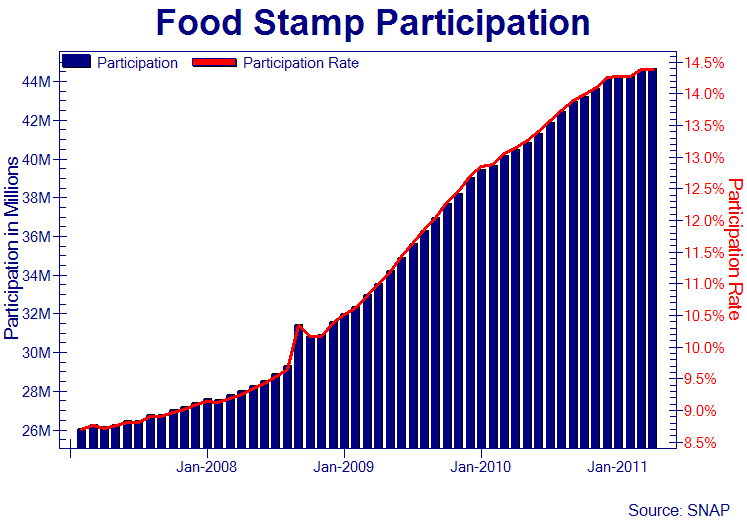 The lobbying comes as funding for food stamps has soared from $28.5 billion in 2005 to $64.7 billion in 2010. One industry already involved in the program—convenience stores—does not want restaurants to get a piece of the pie, arguing that the change would not be in the interests of public health (and their own profit margin). Just like every other government social program. Build it..and they will come……….and YOU will pay. ‹ New California Law Regulates Babysitting – Requires you provide mandatory rest and meal breaks & Workers’ Compensation – Lawsuit for Non-Compliance – Welcome to BIG GOVERNMENT – You voted for it, now you get to live with it. Rockefeller admits he is part of a global conspiracy. And is proud of it. Her Majesty Sandy Greyson, Dallas City Council Member, outraged she could not seize land from lowly plebeian citizen. Off with their heads!